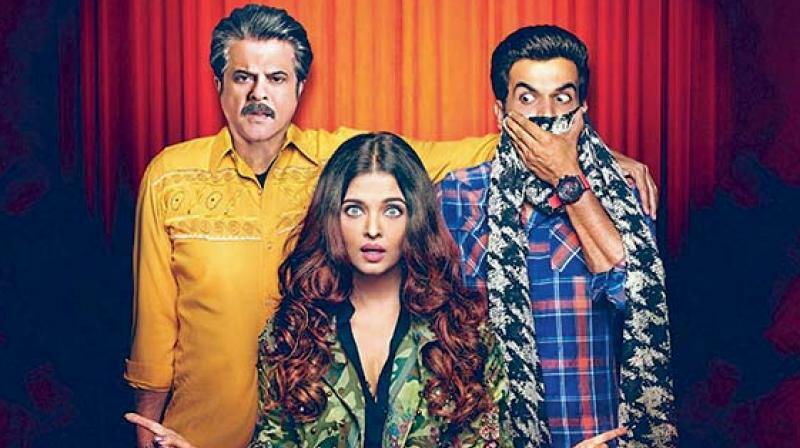 Fanney Khan movie review: Artlessly benign ‘comedy’! The worst thing about this film is no connect between characters even as Kapoor tries hard to breathe life into his. There was a time when some of our scriptwriters would plagiarise, or recreate scenes straight from a popular foreign film, mostly Hollywood, and get away with it. All this business, without so much as by your leave worked for them and for the cinegoers too, who were less demanding because of their limited exposure to films from other countries. Or complete lack of familiarity with them. At least, in terms of passing off somebody else’s hard work as one’s own was easy, only because rarely anybody from the original team got wind of it. In the age of digital world though, things changed and so now an idea is no longer lifted, and a film gets officially remade in another language. But “buying” the rights of an interesting premise alone cannot warrant a successful film in another adaptation. It seems that when producers T-Series, Rakeysh Omprakash Mehra and a host of others, decided to buy rights of the 2002 Belgian film Everybody’s Famous!, and launched Fanney Khan, they thought more than half the battle was won since the original film had been nominated for a bunch of awards and had even won a few. Only if they knew that a funny idea also demands funny execution and a believable script. Prashant Kumar, also known as “Fanney Khan” (Anil Kapoor), works in a factory, is a part-time vocalist in an orchestra, models himself after his ideal Mohammed Rafi and dreams of becoming a singer, but dwindles due to failed circumstances. Years later, his dream gets fuelled when he, as an obsessive middle-aged father, is fanatically convinced that his young, aspiring and overweight teenage-daughter has enormous talent. However, contrary to his plans, Lata fails in making an impact on any musical show she participates in, and is booed upon due to her weight. He has differences with her on other matters as well. His choice of songs that he wants Lata to sing is from the old generation of “Lata hits”, which his daughter calls, “100 years old, just like his ideas are”. Being young she has fresh ways and means to live her life the way she wants to. She dreams of becoming a star someday; just like her ideal, the well-known soloist the svelte, gorgeous diva Baby Singh (Aishwarya Rai Bachchan). Things go from bad to worse when he loses his job and has to put up an act of going to work every day. Thrown into dire circumstances and trying hard to figure out how to support his family, he leans on his good friend (Satish Kaushik) to hire him as a cab driver. It is in such a crucial turn that richness or bankruptcy of ideas clearly shows up in any film. And both director Atul Manjrekar and his team fail miserably in creating a flow of convincing moments. Prashant too seems to have a plan. And so, in a flash of ill-advised inspiration and out of sheer desperation to make his daughter a singer, he decides to kidnap Baby Singh with the help of his friend Adhir (Rajkummar Rao) when she hires his cab after firing her manager. His conceiving a bright idea is designed for a ransom that will help him raise enough money to negotiate a deal with Baby Singh’s manager (who incidentally is asked to pay the money) to audition Lata. If Fanney Khan was conceived as a sweet tale fleshed out with well-drawn characters, it doesn’t impact because of its unsophisticated humour and corny dialogues. Another disappointment is its music with not a single hummable song. The worst thing about this film is no connect between characters even as Kapoor tries hard to breathe life into his. Aishwarya looks self-conscious, awkward and even clueless about her role at times. Right from the word go, for all the lunacy that seems to be going on in this unexciting storyline, it never seems terribly frantic, nor engaging, leave alone entertaining! The writer is a film critic and has been reviewing films for over 15 years. He also writes on music, art and culture, and other human interest stories.